We looked out of the window and found the street below us deserted as it was still early Saturday morning. Mum commented with a mug of coffee in her hands that her sleep was disturbed a little by a group of Friday night revellers who were chatting rather loudly by the fountains. Poor mum! A receptionist and I exchanged as we were leaving the hotel. The reason for it was because we were returning to the same place in ten days time on our way home to the UK. 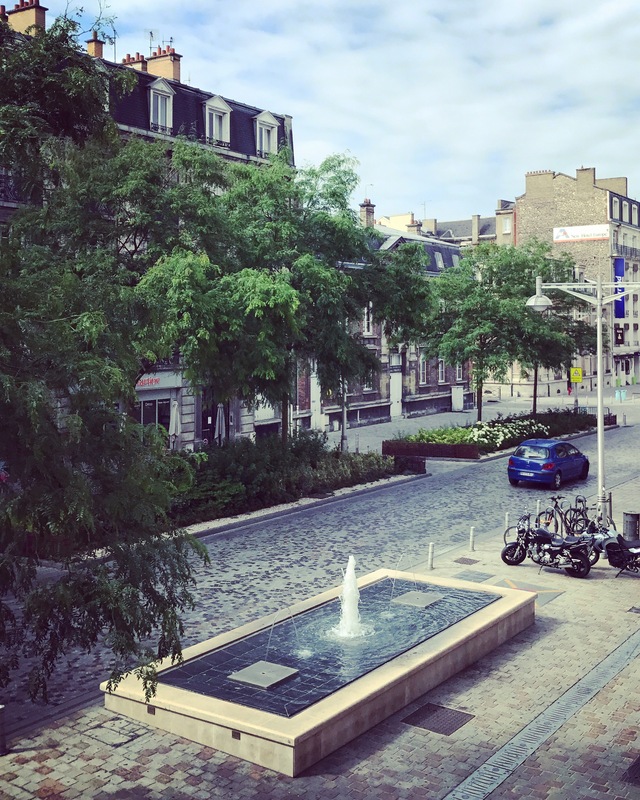 We must admit that Reims was a very pleasant city and all the local people we encountered during our stay were very friendly and amiable. Especially, I was most grateful to one madam who helped me to navigate a paying machine at the car park! The distance between Reims and our next destination, Strasbourg, was 350km (170miles) and it was estimated to take about 4 hours to reach the city. We left the car park just before 11:00 and joined the eastbound Autoroute 4. Around midday, a fuel gauge indicated that there was less than 1/4 of petrol left in the tank. Conveniently, a service station at Haudiomont was approaching rapidly, so I changed the lane and joined a slip road to the service. The service station, Aire de Verdun Saint-Nicolas Sud, was surrounded with tall trees and the ground was covered with gravel except where the petrol station was. After refuelling our car, we traversed the open ground towards the building with a restaurant and a shop. 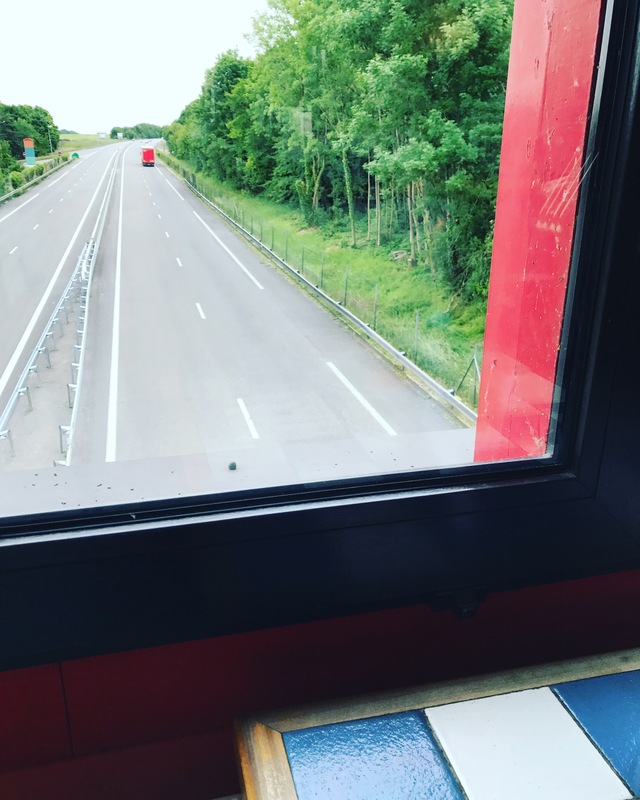 During our road trip, we rarely stopped at the service stations except for refuelling and using their loo and certainly, not for food. The reason was because we would rather be eating at a proper eatery at the end of the journey than grabbing some readymade snack on a move. We both agreed that we were feeling already a bit peckish because our breakfast was very light. So, we climbed up the stairs and joined a small queue at the cafeteria. Oh boy, what a gem it was! This restaurant provided us a very tasty lunch. 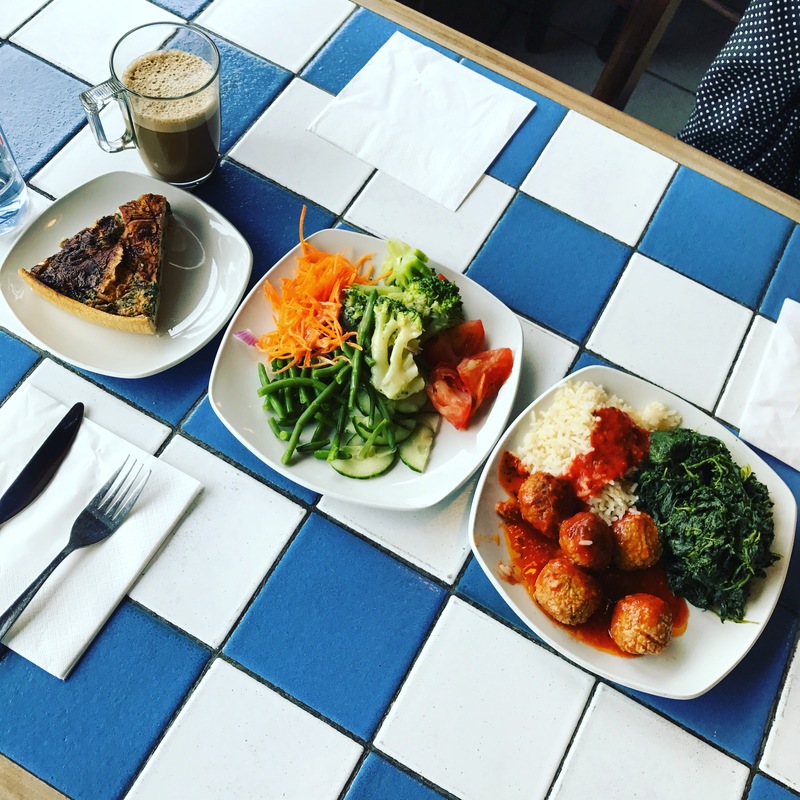 We bought quiche with some game meat, salad and meatballs with rice and spinach. They all appeared unassuming but oh my, they were delicious! Each dish was seasoned and cooked exquisitely, we enjoyed every morsel until the plates were all clean. 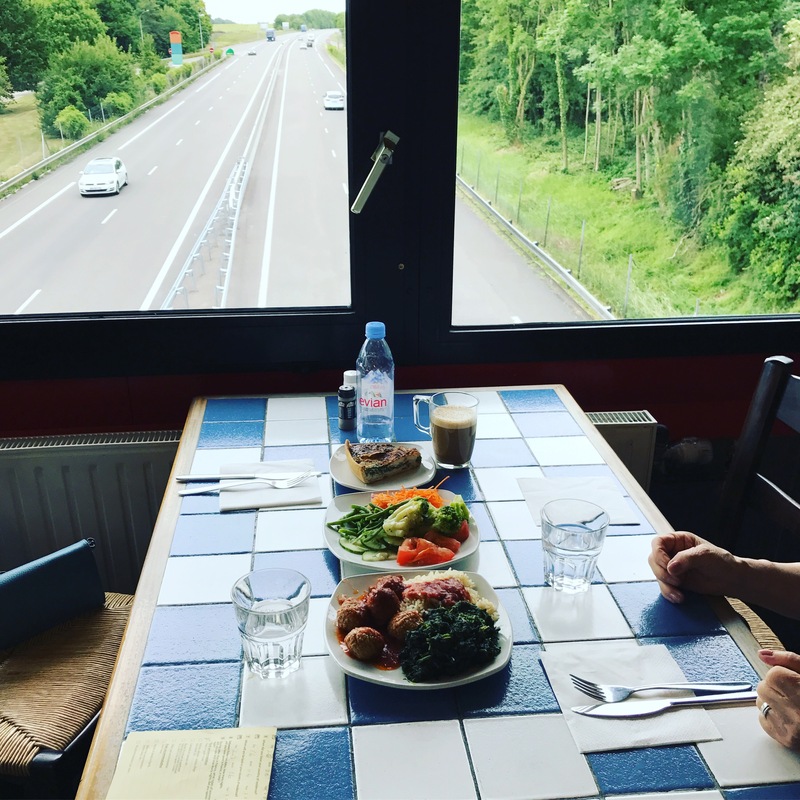 We were one of the early arrivals at the dining room, therefore, we could get a table right next to the window which was overlooking the motorway. Our car and we were well fuelled. Now, Strasbourg, here we come!